Rice cookers are a convenient and inexpensive way to cook food for those confined to small spaces or without access to conventional kitchens, so I’m going to develop a few recipes specifically for rice cookers. Because Instant Pots can also be used as a rice cooker and have a steam setting, these recipes should also translate well for use in an Instant Pot. 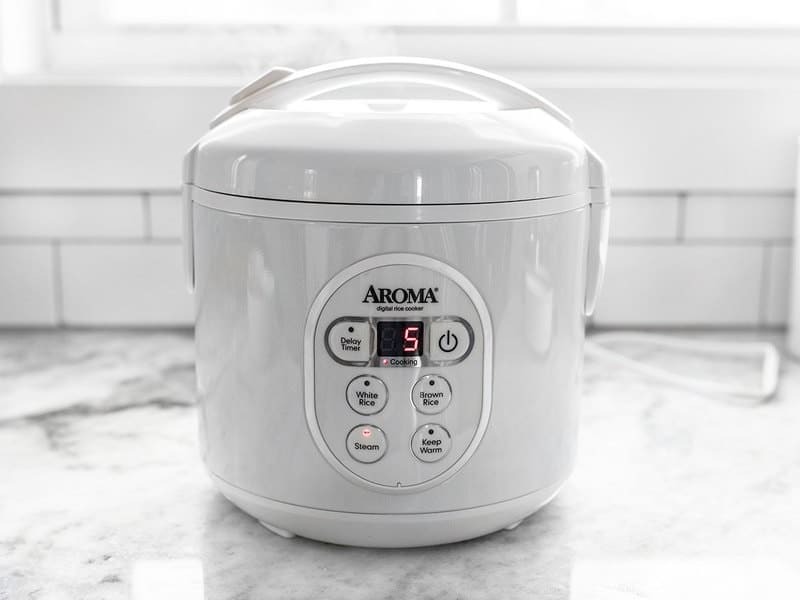 But because every brand and model of rice cooker or Instant Pot can vary, you may need to make slight adjustments for your equipment. Check out my other Rice Cooker Recipes: Rice Cooker Teriyaki Shrimp and Rice, Rice Cooker Chili, Rice Cooker Spanish Chickpeas and Rice. 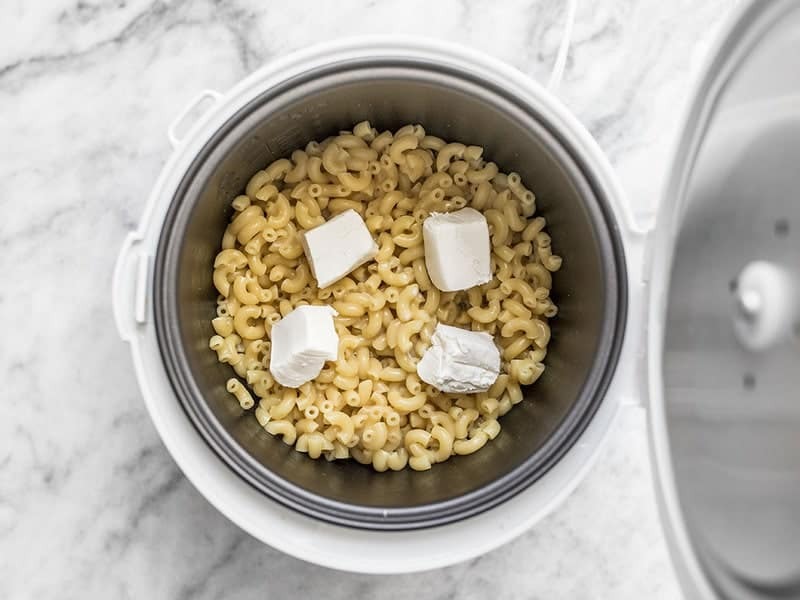 Jazz Up Your Rice Cooker Mac and Cheese! 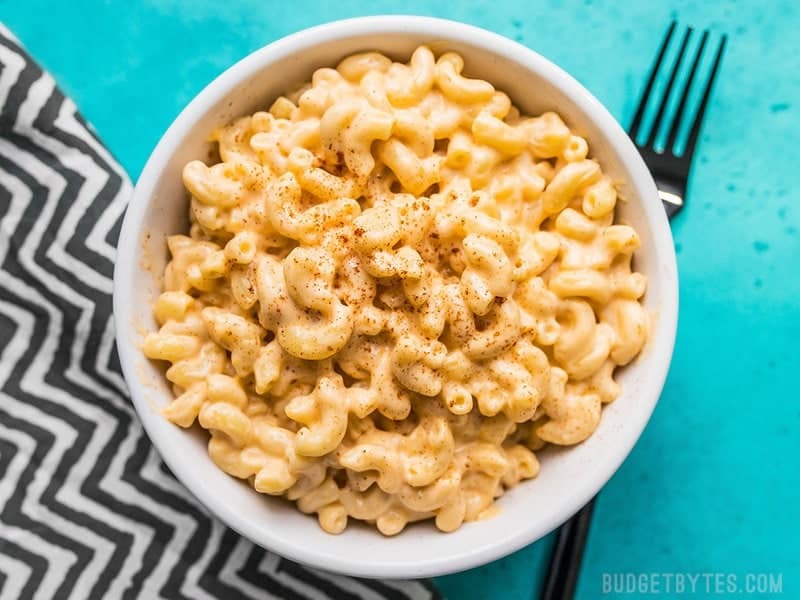 The Rice Cooker Mac and Cheese below is the “base model” if you will. 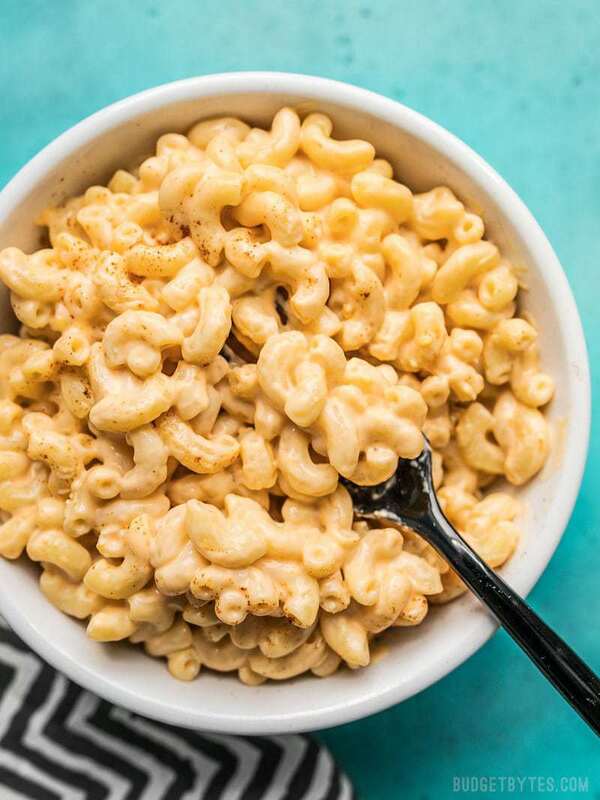 It’s a plain mac and cheese that is just flavored with cheddar and the vegetable broth used to cook the pasta. If you want to play around with add-ins, here are some fun things to try: garlic powder, smoked paprika, diced green chiles, Rotel, finely chopped broccoli florets, or diced chicken. Want more Rice Cooker Recipes? Check out my Rice Cooker Teriyaki Shrimp and Rice! 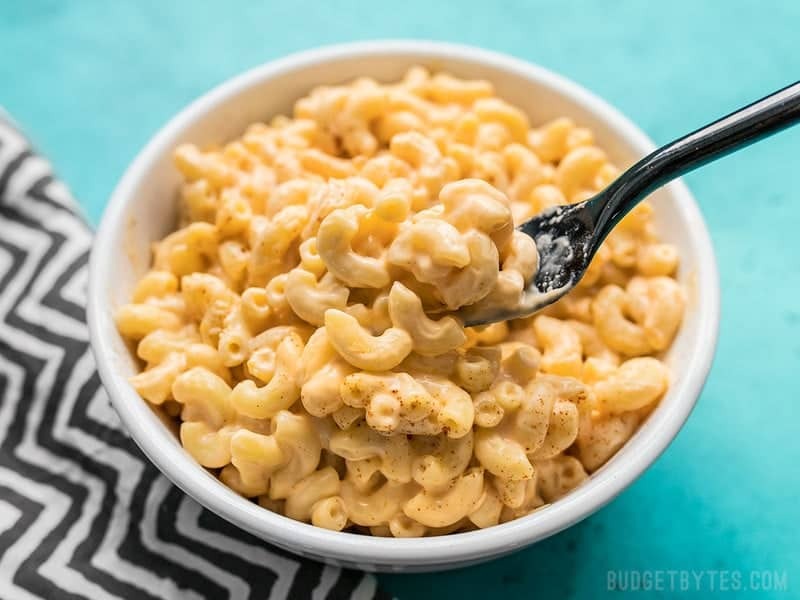 This rich and creamy Rice Cooker Mac and Cheese cooks up in just a few minutes and requires only a few simple ingredients. It’s the perfect fast fix! Add the macaroni and vegetable broth to the rice cooker. Close the lid and cook on the "steam" setting for 5 minutes. It may take 5-7 minutes to come up to temperature before it begins counting down the 5 minutes of cook time. Stir the pasta twice during cooking, once when the cook time begins to count down, and again when there is about 2 minutes left. Close the lid promptly after stirring each time. While the pasta is cooking, cut the cream cheese into chunks. After 5 minutes of cooking, the pasta should have absorbed all of the broth (if not, cook a few minutes longer). Turn the rice cooker to the "keep warm" setting, and add the milk and cream cheese. Stir until the cream cheese has melted. Finally, add half of the shredded cheddar and stir until it has melted, then repeat with the second half. If the cheese sauce becomes too thick or dry for your liking, simply stir in an extra splash of milk. Serve hot. Each ingredient in this recipe has a distinct purpose, so substitute with caution. I do not suggest substituting a different shape or type of pasta, as that may change the amount of broth needed to cook the pasta correctly, or change the amount of time needed to cook the pasta through. 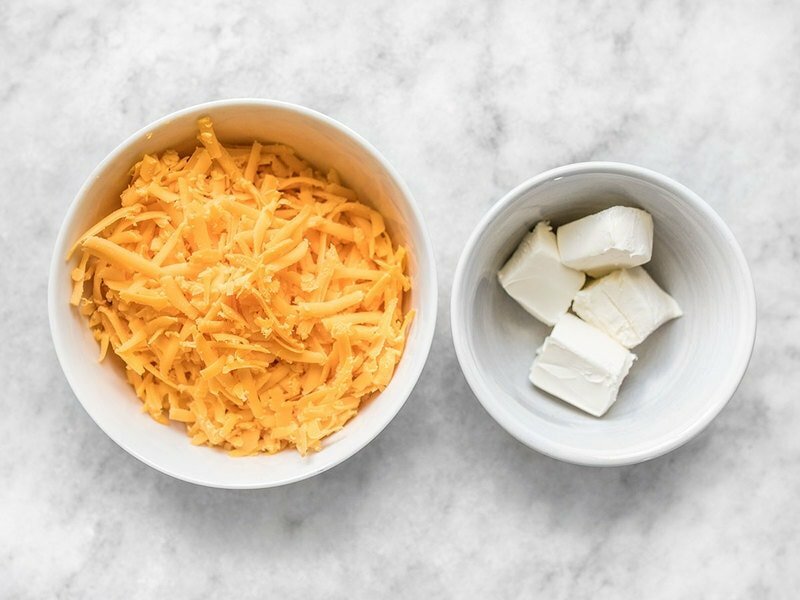 The cream cheese helps emulsify the cheddar into the hot milk, so substituting this with something else may result in your cheese sauce failing. You can, however, substitute chicken broth for the vegetable broth. Keep in mind that the broth provides a lot of the salt and flavor for the sauce, so using water instead will result in a bland dish. 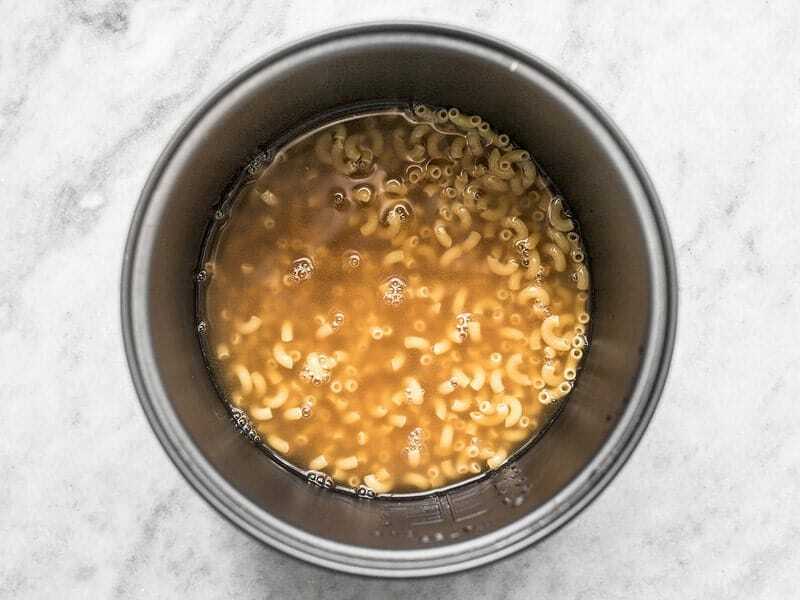 Start by adding 1 cup uncooked macaroni noodles and 1 cup vegetable broth to the rice cooker. Close the lid and set the rice cooker to the “steam” setting for five minutes. It may take 5-7 minutes or so for the rice cooker to come up to temperature before it begins counting down the 5 minutes. Stir the macaroni twice during the 5 minute cook time, once when it begins counting down, and again when there is about 2 minutes left. While the macaroni is cooking, cut 2 oz. cream cheese into chunks and shred about 3 oz. medium cheddar. After cooking for five minutes, the pasta should have absorbed all of the broth. Turn the cooker to the “keep warm” setting, then add 1/3 cup milk and the 2 oz. of cream cheese. Stir until the cream cheese has melted into the milk. 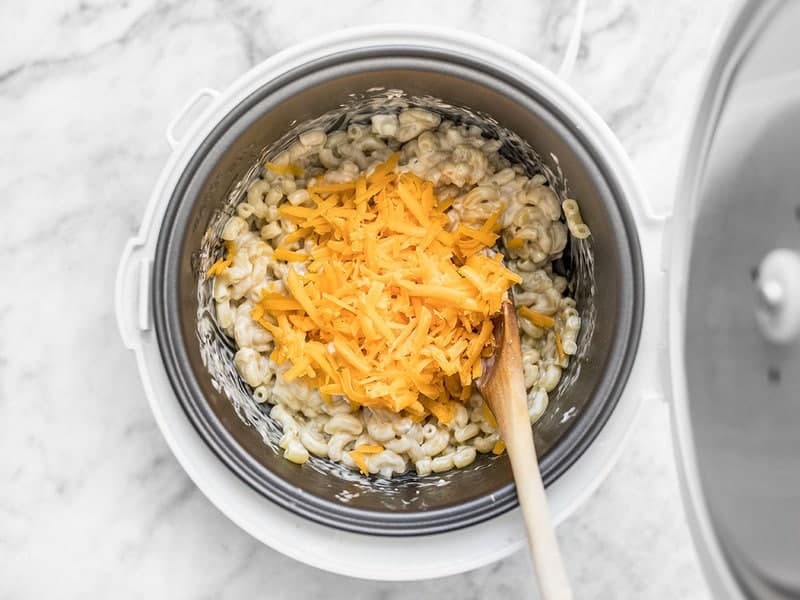 Add half of the shredded cheddar to the rice cooker and stir until it has melted into the sauce, then repeat with the second half of the cheese. And that’s it! 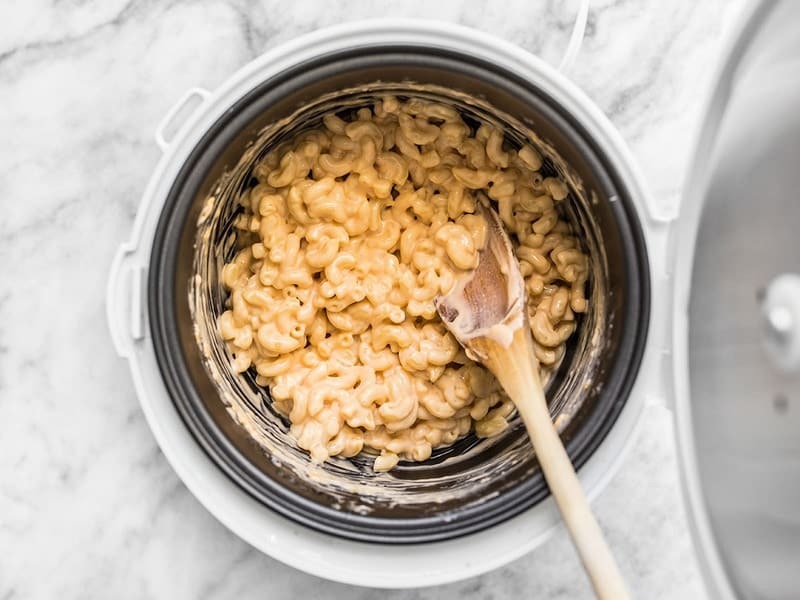 Serve this Rice Cooker Mac and Cheese while it’s hot for the smoothest, creamiest sauce. Great recipe and easy to cook. My kids loved it! Yea! Great basic recipe. But I never met a recipe I didn’t “doctor”. And for this I added 1/2 head roasted cauliflower, some garlic powder and some black pepper. Substituted sour cream for cream cheese. Great with salad for lunch. I also find that I don’t really have a problem with using brick cheeses for cheese sauce. The sauces really do reheat beautifully if don slowly in microwave, stirring after about a minute each time on medium high (7 on my micro) setting. I do not have a rice cooker–used my aroma grillet and it worked great. Grilled cauliflower, added the rest and voila!